The African Diaspora has been a reality for such a long time that we do not even think about its complexity and how it happened. Slavery was definitely a contributory and historical reason for the creation of this Diaspora in the Americas and the Caribbean, but economic migration has been a major reason, in modern times, for swelling the numbers of people of African Descent in the Diaspora in Asia and Europe. So finally the United Nations has taken notice and chosen to observe a year in honour of the Diaspora. The decision to focus on people of African descent is commendable; the process of the proclamation, as is usual with the bureaucracy of the UN, has been rigorous and comprehensive. A working Committee of Experts – representative of all the continents – conducted extensive research on the issue and took evidence from various sources to come up with a robust justification for the proclamation. So after the usual ‘reaffirming, recalling, recalling also and recalling further 2011 was proclaimed’ as the International Year for People of African Descent. The full resolution encourages member states to observe the year and calls on the Secretary General to submit a full programme of activities, and further request its agencies to provide the necessary funding to back up the observance. Invariably as UN celebrations go, there will be a summit somewhere to focus attention on the theme – Recognition, Justiceand Development. The year will be celebrated in different parts of Africa and areas with significant numbers of people of African Descent in the population. But what should people of African descent in Britain make of the theme and what should be the likely impact that we expect from observing the year. Recognition suggests that the participation of Black people is being recognised. In America, we have provided a President and very many notable people in varied professions, in Britain we have produced several politicians of note and increased the number of people who are now being recognised in the Queen’s Honours List. We are integrated in participating in the social, cultural, economic and political life of this country. But the proclamation recognises that there is more to be done. Justice for people who have been ravaged by slavery used to be synonymous with reparations; we cannot however be stuck on the past, we must move beyond to focus on racial disadvantage that leads to current discrimination. This calls for the creation of a level playing field of true equality where equality of opportunity is more likely to lead to equality of outcomes. Programmes of action must be rooted in equity by extending resources that are extended to similar observances to people of African descent. Development and action plans aimed at further integration should be forged to remove the structural problems of discrimination and racial disadvantage and must focus on what people of African descent in this country will need to collectively succeed in this country. Programmes on education, good health, access to employment, access to enterprise development and wealth creation should feature in this concentration of activities. Too often such opportunities are left to the educational programmes as in the many Black History Month celebrations, they are left in training programmes with no regard to providing jobs; they are left to seminars on how to get contracts from government without providing any real contracts. These awareness programmes are useful, but a more proactive package of ensuring that the impact of these celebrations can be measured is what is required to move the community forward. For now we are yet to be told which department will provide resources to observe the year in Britain, we are yet to find out what programmes are to be implemented. We ask that we should be consulted and we ask that whatever is suggested should be accompanied by the redistribution of resources towards the Black community. This fact has been recognised by the UN, Justice that is related to Peace is needed and bold action is what brings about sustainable development. Suggestions on what is required to make the celebration have a resounding measurable impact are welcome, but let us not allow another opportunity to bypass us. 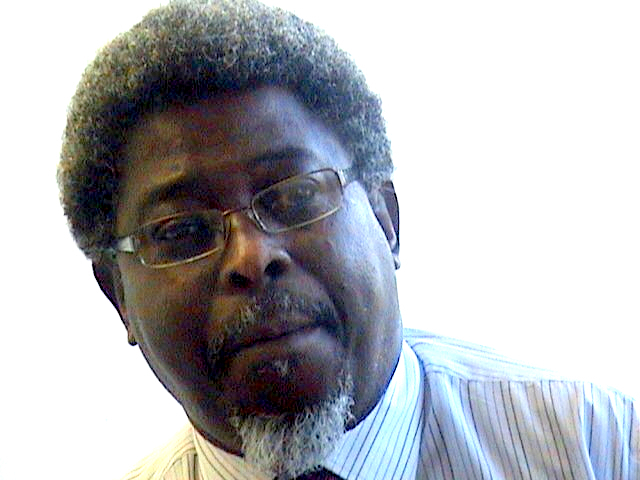 Ade Sawyerr is partner in the diversity and equality focussed consultancy, Equinox Consulting. He can be contacted at www.equinoxconsulting.net . Next Post Voting has not solved the problem of the Ivory Coast but military intervention may worsen it.